The above picture was taken by one of our staff while dining at a Portillo's in Avon, Indiana. Housekeeping is more than just clean floors and surfaces and removing dust and clutter. Good housekeeping helps prevent injuries and improves productivity and morale in the workplace. 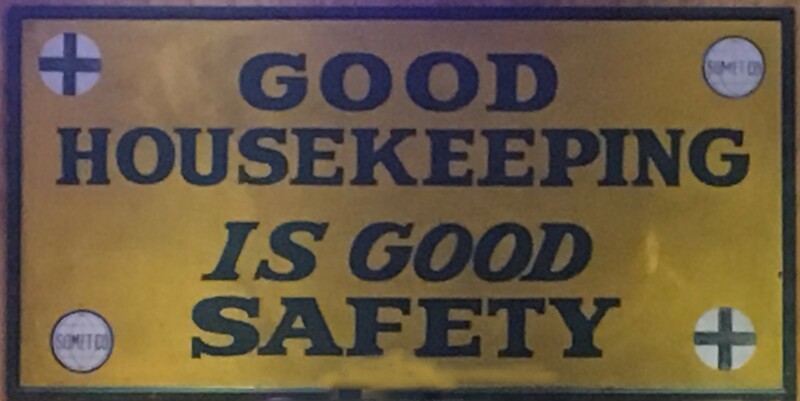 According to the article, Benefits of Good Housekeeping Practices, published by https://www.osha.gov, good housekeeping is not just about cleanliness; it lays the basic foundation for accident and fire prevention. It requires attention to details, such as the layout of the worksite or facility, identification and marking of physical hazards, ensuring the adequate number of storage facilities, and routine maintenance. To read this article in its entirety, please visit OSHA.GOV/Benefits of Good Housekeeping Pratices.